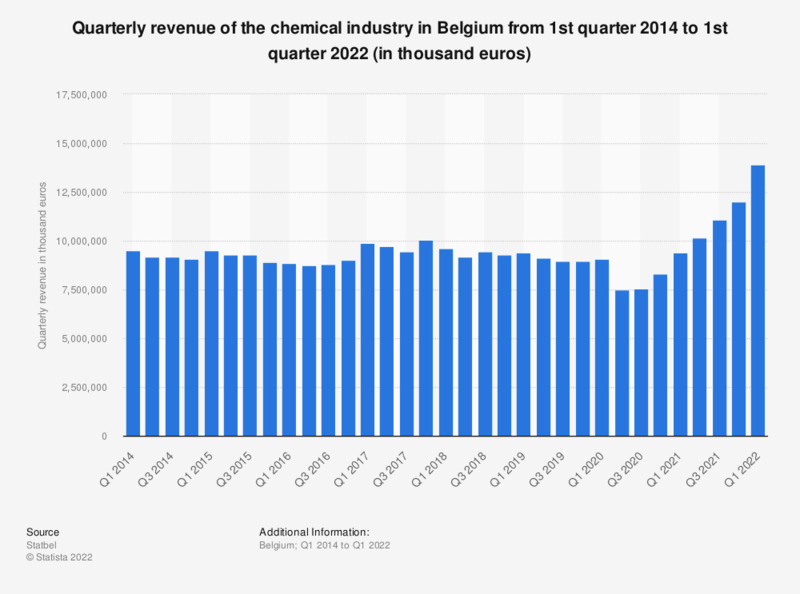 The statistic displayed above shows the quarterly revenue for the chemical industry in Belgium from the first quarter in 2014 to the fourth quarter in 2018. In the first half of 2015, the revenue for the chemical industry decreased from about 9.5 billion euros in the first quarter to roughly 9.3 billion euros in the second quarter. In the fourth quarter of 2018, the revenue was approximately 9.3 billion euros again.